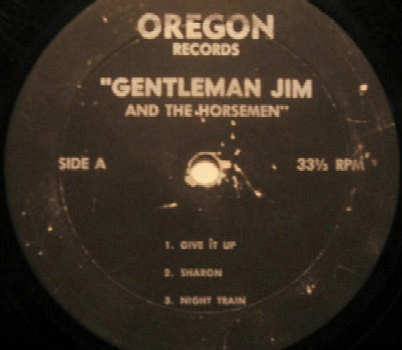 I found your website by Typing in "Gentlemen Jim and the Horsemen" - A group that has stuck in my mind for over 30 years for reasons listed below. When I was an undergraduate student at Bowling Green State University, a rather famous professor of popular music (Ron Serge Denisoff - he had written for Rolling Stone, Billboard, and died after completing a bio on Waylon Jennings) and the members of the Popular Culture Library credited the song to Jim Morrison (on vocals. . . his first recorded effort) and Ray Manzarek on keyboards (the album is in the pop culture library). Dr. Denisoff actually played this tune in class almost 30 years ago (Popular Music and Society - A sociology class), crediting the future members of the Doors with this song, and as of 1997 it is still listed as such at the BGSU/Pop Culture music catalogue. 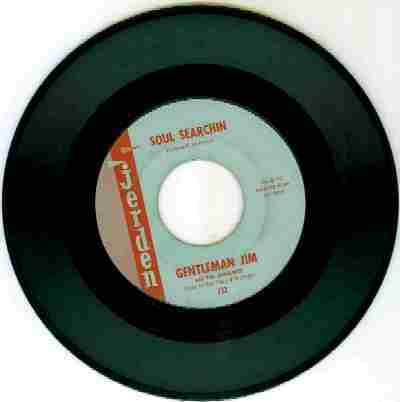 After hearing the snippet of the song today, this is certainly the song I remember hearing . . So the mystery is solved who "Gentlemen Jim and the Horsemen " were, but even today, one could hear and think that the vocals and keyboard reflected Morrison and Manzarek. .... surviving band members may be interested to know this. The original band cut an album at Northwest Recording Studios in 1963. The album demonstrated some serious versatility on the part of Jamison and Hamilton on a cut of "Stranger on the Shore". Dunlap and Jamison combined for some great vocal harmony work on a rendition of "Over the Mountain". The album was never promoted, and so never reach stores, but those who heard it were impressed with the caliber of musicianship and vocals. 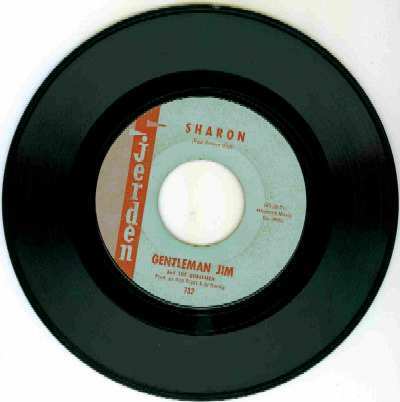 The tune "Sharon" was included on the album and was later released by Jerden Records in Seattle. This version of the band was regularly featured at the Headless Horseman teen night club in Portland as one of the regular house bands. Other notable guest bands that played the "Horseman" on occasion were Paul Revere and the Raiders and Mr. Lucky and the Gamblers. Mark Lindsay would well remember those nights on the crowded stage at the Horseman. After the formation/change of Gentleman Jim and the Horseman to the new band, "The Redcoats", Doug Morrison leased the usage of the name Gentleman Jim and The Horsemen, complete with Purple Velvet coats (Lavender for the lead singer), to a group of musicians about 5 years younger. The singer's name was Bill Montgomery; on guitar was Randy Markshausen; on bass, Dave Maitland's younger brother Dan. Originally on organ was Dave Horenstein from a local band called The Quartermasters, soon replaced by Greg Perry who later played with The Gamblers. On drums was Donn Smith from another local band called "The Galaxy's. With Doug Morrison booking and guiding this new incarnation of The Horsemen, the band stayed booked and working for about two years and with some additional member changes wound up under the name Flash in 1969 under the leadership of new keyboardist Dave Larson. Don Gallucci was an early keyboard player for this band. He was with the Horsemen when he decided to join the Kingsmen. As a founding member of both bands, I am writing to add my recollections to your files regarding the history of Gentleman Jim and the Horsemen and The Redcoats. During my freshman year in high school, I played several off-nights with a trio at the Headless Horseman, a teen night club, on Park Avenue, in Portland Oregon. During my sophomore year in high school, Chuck Jamison (guitar) and Ross Alamang (bass) left Paul Revere and the Raiders to form a house band at the Headless Horseman. Both of them were competent musicians and they invited me to audition for their new band. I still remember walking into the Headless Horseman lobby, lugging my Wurlitzer electric piano and Kay amplifier, and hearing Jim Dunlap singing inside the club. He had a terrific R&B voice and since Chuck had a beautiful voice and Ross also sang, this would be my first direct experience with three part harmonies on stage. Herb Hamilton was an exceptional musician (saxophone) and Bob Edwards (drums) rounded out the group. After the audition, I became the youngest band member. The band was initially managed by Al Dardis, who’s father Joe was the Portland, American Federation of Musicians President, and both of them were principles in the operation of the Headless Horseman teen club. Early on, Al realized the need for recording as a primary means of establishing a band’s reputation and he made it happen for us however, he was a student at the University of Oregon and ultimately quit to finish college and pursue a career. From the music side, Herb left first for the military, Ross left next, due to scheduling conflicts with his full time job, and was replaced by Larry Roberts, an exceptional high school musician who also played bass in the Portland Junior Symphony Orchestra. Chuck left next and was replaced by another Paul Revere veteran, Steve West (guitar) recorded who Louie Louie with the Raiders but elected to finish high school rather than tour with that band. Don Gallucci (keyboards) was a good friend of mine and he occasionally substituted for me on stage but to the best of my knowledge, he was never a full time member of the Horsemen either before or after I left the band. 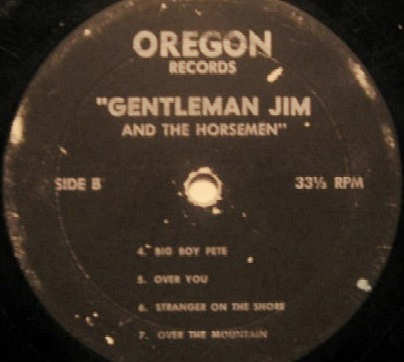 After graduating from high school, I left for the University of Oregon and Steve continued to book a band under the name Gentleman Jim and the Horsemen using different players. During my sophomore year at U of O, Chuck Jamison, Larry Roberts, Jim Dunlap and I reunited initially with Bob Bailey (drums) followed by Pat Primiano (drums), and, at Chuck’s suggestion, we adopted the name RedCoats. 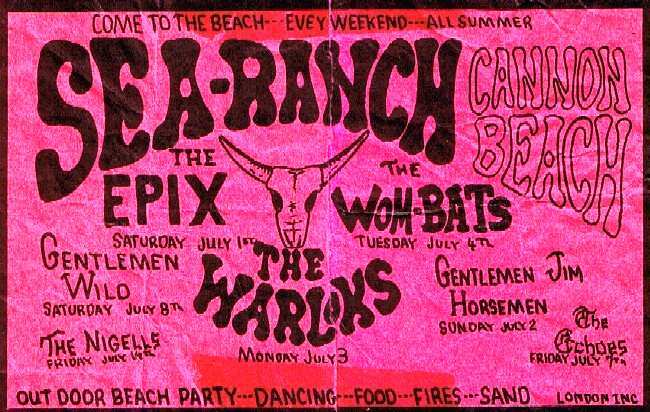 This band booked primarily through a Seattle agency and went through many personnel changes over the next two years playing a variety of NW clubs and teen venues, finally disbanding in early 1968.